Euro MPs have rejected a far-reaching package of telecoms reforms because they say internet users need better protection from being disconnected. The MEPs backed an amendment saying web surfers' rights could not be infringed without a ruling by a judicial body. 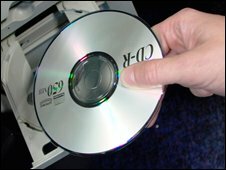 The vote, overwhelmingly in favour, is also seen as a protest against a tough French draft law targeting people who illegally download copyright material. The "three strikes" bill is still going through the French parliament. The MEPs' vote in Strasbourg on Wednesday came despite an agreement hammered out earlier with EU ministers. If EU telecoms ministers accept the MEPs' amendment at a meeting next month they can avoid the "conciliation" process - the last stage before a piece of legislation is scrapped. The telecoms package aims to ensure that regulatory measures are harmonised across the EU and that consumers' rights are protected in the fast-moving digital age. Operators would be required to make information on tariffs and contractual terms more transparent. The controversial French bill would allow internet providers to disconnect people caught downloading music illegally after two previous warnings.